You are not logged in. 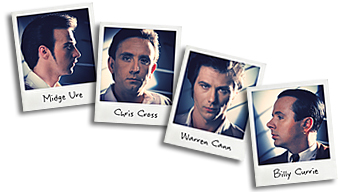 [Log In] Ultravox.org.uk » Forums » Music » Robin Simon » Robin, latest news. #67648 - Fri, 08 Apr 2011 02:43:00 Robin, latest news. Following Robin's gig with John Foxx at the Troxy, work continues apace for the forthcoming third album from AjantaMusic. To hear an exclusive preview edit of an unreleased track and receive a free download visit www.ajantamusic.com Also new at www.youtube.com/watch?v=iUC4xqffBg4 is a live version of Time is Backwards, another unreleased tune from the new album. Hope you enjoy our sounds. We've come a long way since our first Ibiza influenced instrumental album released in 2006.